A travel chief has slammed the Government's decision to rule out airport expansion in the South East. John McEwan, chairman of travel organisation Abta, said the move was "unacceptable", suggesting it will eventually damage the UK's international competitiveness. He also questioned Government plans to boost financial protection for travellers, saying the proposals did not go far enough. Mr McEwan added that Government plans for reform of Air Passenger Duty (APD) airport departure tax needed to be developed further. He was speaking at an Abta-organised travel conference in London. He said it is "disappointing" that the Government has decided against airport expansion in south-east England. 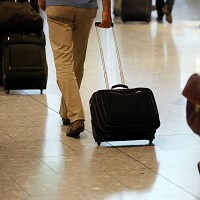 The move suggests that fewer holidaymakers will be taking out travel insurance policies for breaks departing from airports in the South East in the coming years. He added: "We don't think this is acceptable. It means that, over time, Britain will lose its international competitiveness. Mr McEwan said as far as financial protection of holidays was concerned it was necessary for the travel industry to ensure customers were confident about travelling. He added that Government plans to improve protection only covered around half of travellers. Mr McEwan said he welcomed the Government's decision, outlined in the Budget, to defer this year's rise in APD until next year. But he went on: "We believe we need to go a great deal further on APD. It's not about the level of tax, it's about the fairness of tax."